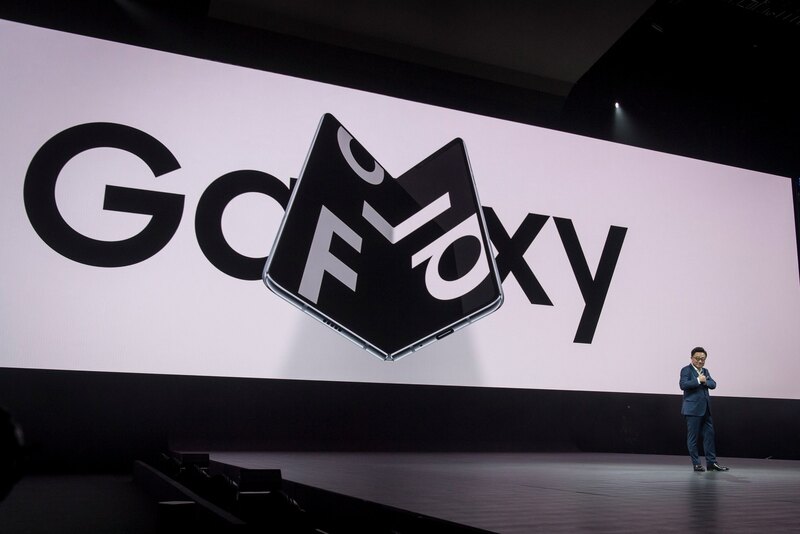 According to a new report yesterday, Samsung is working on two more foldable smartphones aside from the already-introduced $1,980 Galaxy Fold. One will have a clamshell-like design and the other will be a foldout device similar to Huawei’s $2,600 Mate X foldable smartphone. Moreover, the Galaxy maker might even incorporate an in-display fingerprint sensor for the foldable smartphone lineup following its debut on the Galaxy S10 models. 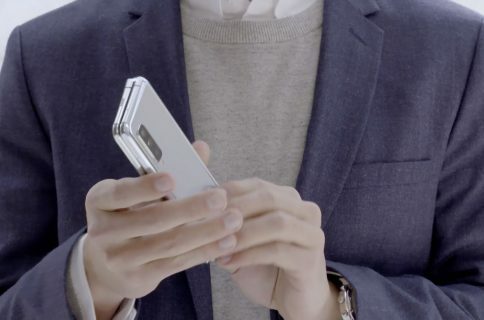 Samsung plans to unveil the vertically folding phone late this year or early next year, and is using mockups to fine-tune the design, the people said. The gadget is designed with an extra screen on the outside, but the manufacturer may remove it depending on how customers respond to a similar display on the Fold, they said. 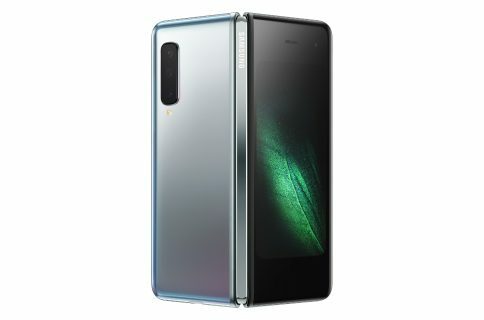 The South Korean conglomerate probably realized that Huawei one-upped the Fold in terms of industrial design because Mate X features a more compelling design and functionality. Huawei’s device folds outward to minimize strain on the display panel. For those unaware of the crucial difference, the Fold folds inward like a notebook while the Huawei phone folds outward. As a result of that design, the Huawei smartphone doesn’t need a third display when folded like Samsung’s Fold device does. They should have gone with the outfolding device as their inaugural foldable smartphone, no question about that. 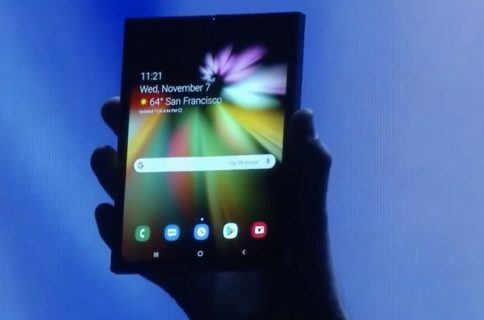 The fact that they didn’t leads me to speculate that Samsung’s leadership didn’t want Huawei to beat them to a foldable phone. There have been some concerns that the seam at the center of the flexible display on these phones does not vanish completely when unfolded, but manufacturers are working on it. While Samsung works on new models, it’s also trying to improve the durability of the Galaxy Fold’s display. They’re trying to eliminate a crease that appears on the panel after it’s been folded about 10,000 times and Samsung is considering offering free screen replacements after releasing the product, one of the people said. Flexible OLED panels utilized on the Fold and Huawei’s Mate X are comprised of a protective film covering the touch sensor bonded with the display underneath. Because they’re made out of plastic, flexible panels do not have very good scratch resistance. Apple supplier Corning may come to the rescue. Corning’s working on a 0.1mm glass that bends without breaking, potentially allowing a foldable phone to be as thin as 6-10mm with the folding screen wrapped around the outside. In an interview with Wired, Corning’s general manager John Bayne explained that creating a piece of glass that bends without sacrificing the resilience was a difficult challenge. Glass today, the current choices out there, they’re not optimal for folding phones. In a glass solution, you’re really challenging the laws of physics, in that to get a very tight bend radius you want to go thinner and thinner, but you also have to be able to survive a drop event and resist damage. The technical challenge is, can you keep those tight 3- to 5-millimeter bend radii and also increase the damage resistance of the glass. That’s the trajectory we’re on. In the meantime, Apple is not talking about foldable phones at all but that doesn’t mean it hasn’t patented a foldable device of its own. Its recent patents have outlined a foldable iPhone heating system that could prevent damage in cold weather, including an invention that calls for a flexible display the could be folded without any seams or a visible hinge. 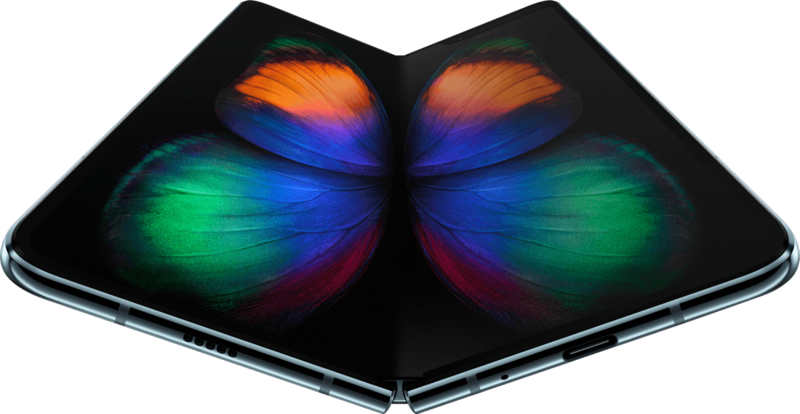 The Cupertino firm has actually shown interest in foldable OLED for years. Just recently, for example, Apple evaluated foldable panels shopper around by Samsung Display. It’s still too early to gauge how much demand there will be for foldable smartphones but there’s no doubt that the first wave of phones with flexible screens from Samsung, Huawei and other Android vendors are more akin to work-in-progress prototypes than finished products. Huawei’s Mate X Mate X features a stretchable hinge. No one knows what the ideal design is yet. The time is ripe for experimentation. Many of these designs won’t be successful, but industry players will learn valuable lessons along the way. While the technology is not there yet, it will mature to a point where compelling foldables will be feasible. Only then should we expect Apple to show us how a folding phone is done properly. Fun fact: Royole, not Samsung, has created the first foldable phone. Are foldable phones here to stay, do you think?